With hundreds of schools across the country, we have you covered. A busy events calendar, with tournaments, training camps and seminars throughout the year. Our instructors are trained to the highest standards in Taekwon-do and kickboxing, ensuring you receive top quality training. If you are an instructor looking to join a forward thinking organisation run by instructors, get in touch! 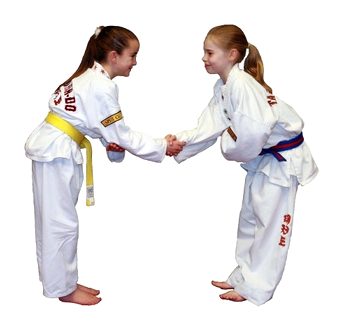 At PUMA we are experts at teaching Taekwon-do, Kickboxing and Self Defence to all ages and levels of experience. A modern method of teaching children aged 4-6, using martial arts as a training platform for all-round physical and mental development. 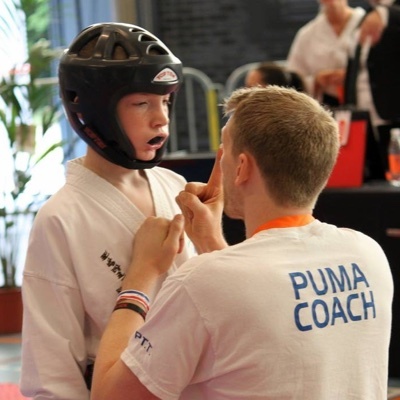 Find out what makes PUMA different from other martial arts organisations. We're committed to the physical, emotional and mental wellbeing of all our students. Call or email to book a free class in your area now. 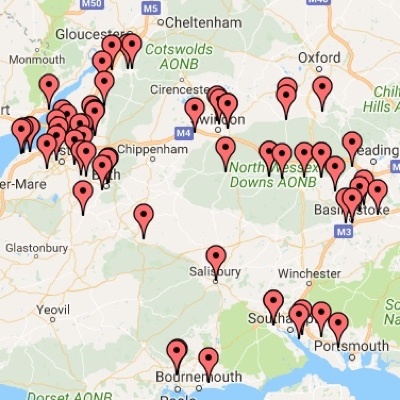 We have a school near you. With over 100 martial arts schools across the country, PUMA runs classes for thousands of members. Our highly skilled and experienced instructors are on hand to help you learn, refine and achieve all that you want in your martial arts journey. PUMA have an experienced and successful competition team who take part in tournaments around the world. In the past our team have travelled to Holland, Croatia, Jamaica, Argentina, Australia and more representing their country in international competitions and World Championships. Our coaching team have years of experience both as competitors and coaches, and get the most out of the team in the regular squad training sessions held throughout the year. Yes, as you should expect. When looking for a martial arts school for yourself or your children you should be looking for the best value for money. The cost of the training is important but should be secondary to quality and safety. What instructor qualifications do they have? Our instructors are qualified and approved to the high standards expected by the Professional Unification of Martial Arts (PUMA), a national martial arts organisation whose rigorous process and quality is recognised worldwide. How long have they been teaching / training? 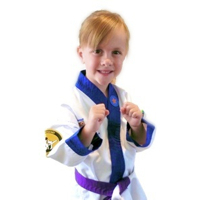 Our instructors must all be black belts, requiring at least four years of dedicated training. They must then have undergone comprehensive instructor training as part of the PUMA Instructor programme and be approved as an instructor by our experienced Instructor Training team. Do they have appropriate instructor insurances? A condition of PUMA membership is that our instructors maintain and renew their insurance with our approved insurance provider. Are they regularly re-assessed in first aid / child safeguarding to make sure they are up to date with current practices? Our instructors are required to re-qualify in first aid and child safeguarding every three years. Download a copy of our Child Safeguarding Policy. Can they provide copied of their instructor / insurance / first aid / DBS (formerly Criminal Records Bureau) certificates? We're more than happy to, please just ask.